It might seem strange to do a 2hr train journey just so you can ride your bike back in the opposite direction, especially when you can cycle from your door and be on the South Downs within half an hour. But until you’ve ridden into a 20mph headwind up there, you’ll never understand the logic. The original plan after completing our first leg from Eastbourne to Brighton on Saturday was to go on to Amberley and stay overnight before continuing onto Petersfield (or as far as we could be bothered) before getting the train home. 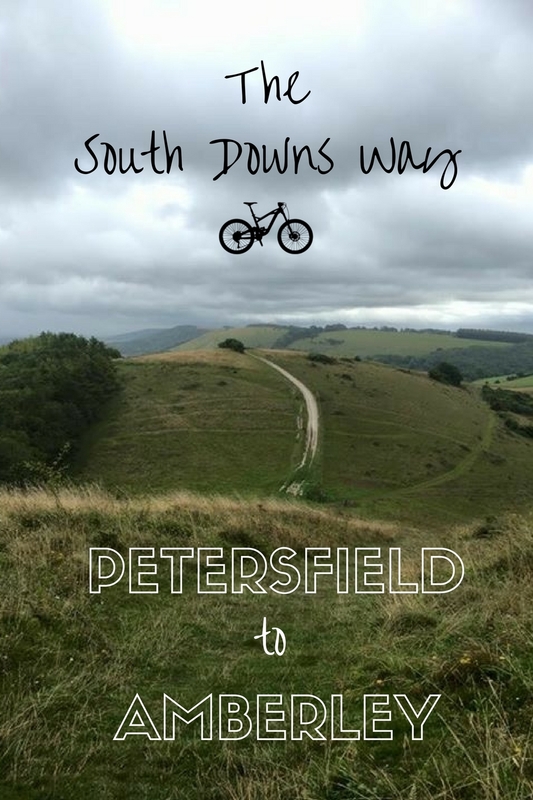 But then the wind changed its mind, didn’t it, and our lovely north easterly tailwind (unusual for that direction) soon turned back around to the normal south westerly so we ditched the plan and headed for Petersfield by train. It’s amazing how important the wind direction becomes when planning a ride, especially living on the coast. 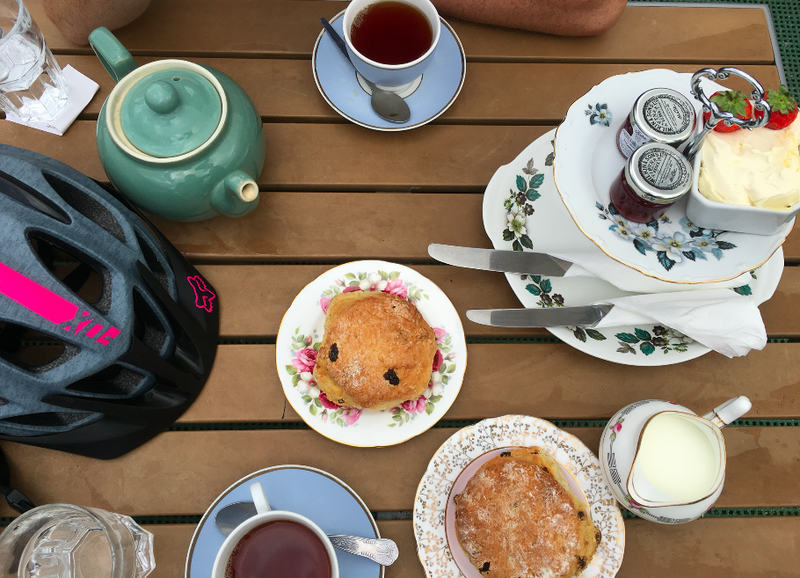 I once ignored Chris’ advice to avoid a road ride to Eastbourne into a hefty headwind and very quickly regretted it. Good workout though. Anyway, with a table booked at the Bridge Inn for 6pm, and a lovely Airbnb room across the road sorted, we gave ourselves a good four hours or so to get from Petersfield to Amberley – with plenty of time to get lost. 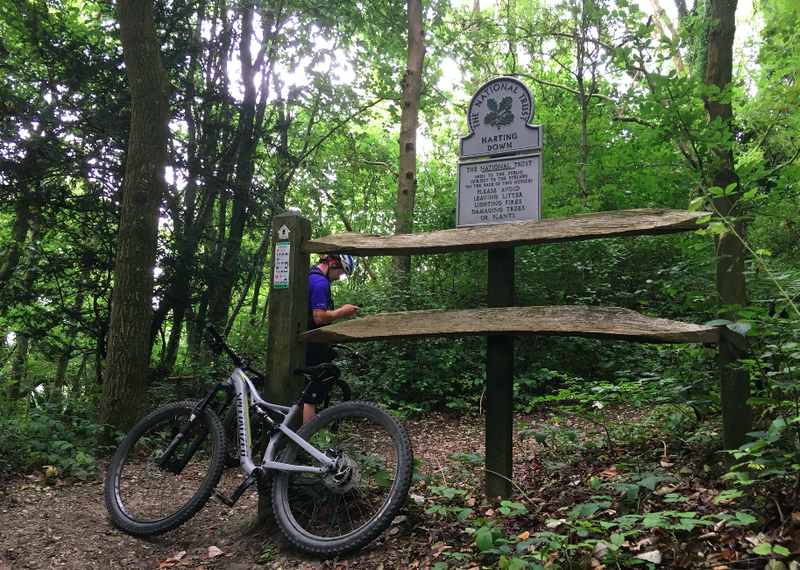 We rode out of the train station towards Buriton where we picked up a very steep hill up out of the village, following a track onto a woodland path which crossed a main road before joining Harting Down. These first few miles of the journey were through woodland and gravel/chalk tracks, pretty much all up hill, warming us up pretty swiftly. 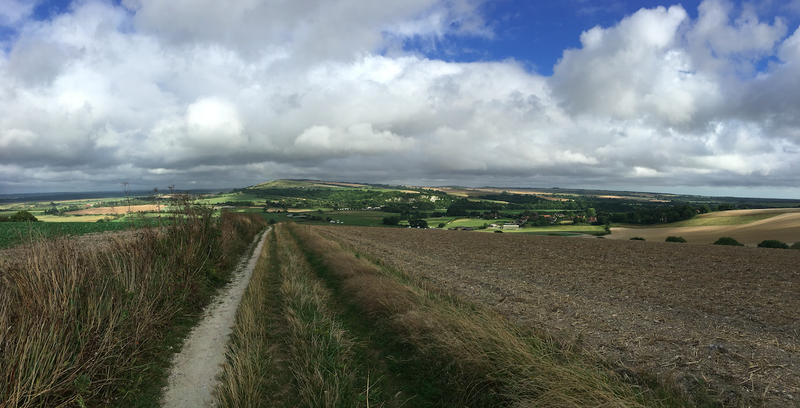 I really loved how different this leg of the South Downs Way is to the route I’m used to riding. 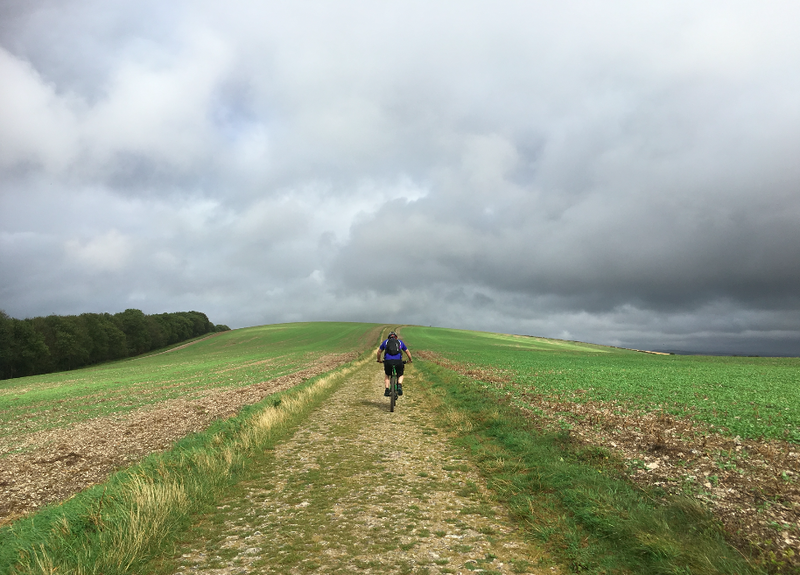 The Eastbourne to Brighton leg is very open, across wide expanses of beautiful rolling fields and up very long hills and chalky hill paths. Even the ‘non-hilly’ bits seem to be on an incline. It’s hard. 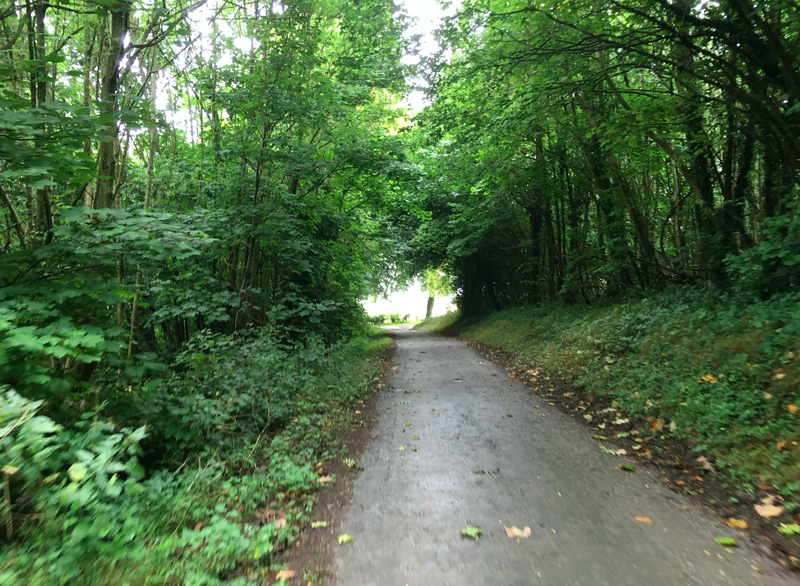 Cycling from Petersfield to Amberley, I found much more ‘interesting’ and enjoyable – the terrain more varied and sheltered, (gravel tracks / chalk paths, woodland, fields), the hills steeper and shorter (OUCH), and the flat bits are actually a bit flat in places which always helps for recovery. Don’t get me wrong, it was still bloody hard work – just not in 24 degrees heat, with no shelter or shade, and no bad backache from my seat post being too far backwards, or weaving in and out of the lovely (but crazy) walkers completing the South Coast Challenge. 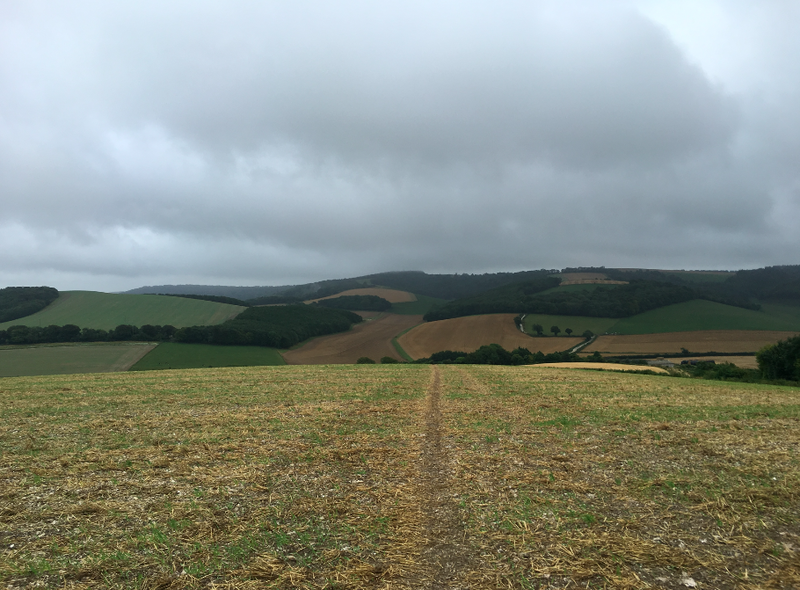 We had the trail mostly to ourselves for the Petersfield leg, and the weather was perfect – a nice breeze (tailwind, thankyoupleashe), much cooler, and that I’m-not-raining-but-I-am-really kind of spitty rain coming in showers to cool us down throughout the route. 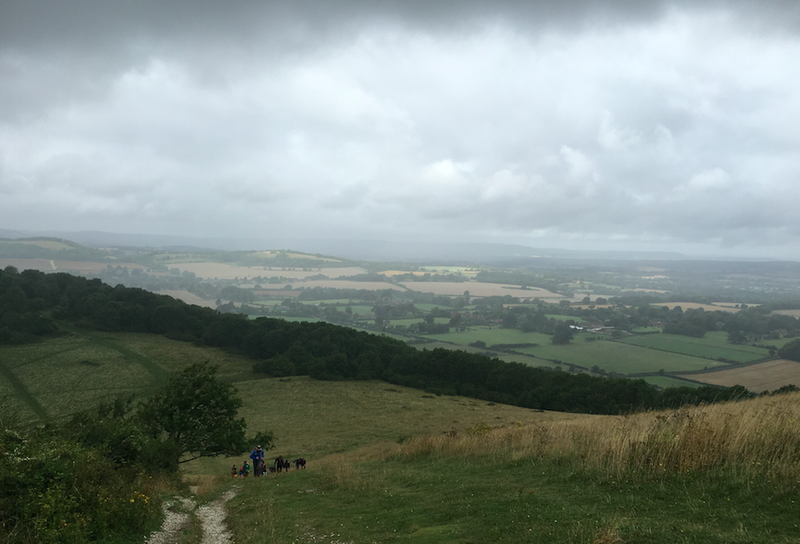 One hill beat us – the formidable Beacon Hill. I read on a website that it was uncyclable, and me and hubs have always prided ourselves on our climbing ability. Or stubbornness really, but it gets the job done, nonetheless. We very nearly got lost here too. As we struggled pushing our bikes up the rest of the hill, those black clouds started to cry on us and the wind drew in. We were nearly at the top hoping to God that the sign we ignored just out of shot of this photo wasn’t telling us to go left and not up and over, when a group of scouts with maps appeared like a mirage in the desert to point us in the right direction. The direction was indeed, up and over. Then left at the next fork, but we worked that one out for ourselves, 10 points to us. Well, Chris, actually, but hey. The rest of the route was through fields, gorgeous flower meadows, following paths, through tree tunnels, and of course, up and over lots of hills. One called ‘Heart Attack Hill’, according to Strava. NB: It’s got nothing on ‘Cardiac Hill’ (Eastbourne leg). Before we knew it we were five miles from our destination. We reached Amberley with plenty of time to spare so went for an expensive but lovely cream tea (£14.50 for two!) before heading to the pub for a few drinks and roast pork dinner later. Yes we had a cream tea and dinner later. Sue me. Strava deets below if you’re interested – annoyingly minus a chunk of the woodland uphill path as I forgot to restart after a water break. 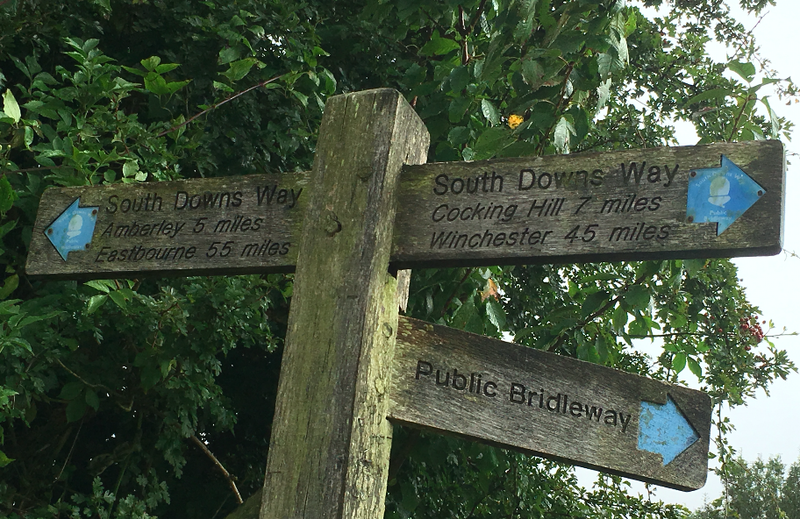 The final leg of our adventure was from Amberley back home to Brighton, which we rode today, completing 3/4 of the South Downs Way over the Bank Holiday weekend. (In bits and not in one go, but hey). Do you like mountain biking? How did you spend your Bank Holiday?